RED ALERT: The author weaves a fascinating tale in her debut novel. 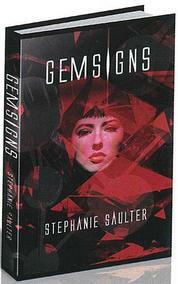 Stephanie Saulter is happy to talk about all things sci-fi, the intriguing subject matter at the heart of her just-published debut novel, Gemsigns. 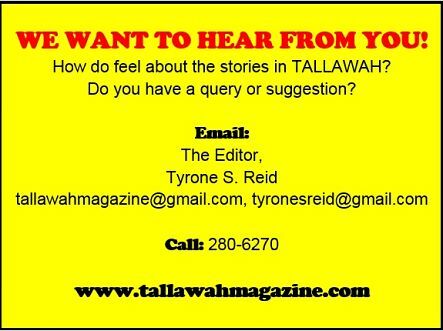 "A lot of people have a very narrow view of that area; they think it's just outer space and spaceships, but it's a very broad church," she tells TALLAWAH, calling by phone. "But what I write falls between science fiction and speculative fiction. It straddles that border." Even so, readers and critics alike find Saulter's work utterly absorbing and hugely enjoyable, resulting in an influx of positive reviews for Gemsigns (Jo Fletcher Books), which she introduced to locals at Hope Road's Bookophilia last Thursday. "Just this past week has been really hectic," admits the UK-based author. "The responses have been incredibly positive and flattering." Described as "a thought-provoking narrative" about a global pandemic in the near-future and the search for a cure, the novel is the first in a trilogy, with the second instalment, Binary, due out in April 2014. "I wrote it as a stand-alone book, but the publishers have requested two more books." I ask her to explain what made her venture into the literary genre of sci-fi/speculative fiction in the first place. "I don't know what else to write," she confesses, laughing. "That's where my interests lie. I read a lot, but I believe in following your inspiration. I write what interests me." Now in her 40s, Stephanie is the eldest of the Saulter children. A family whose talented filmmakers, Storm and Nile, have earned renown. "I'm very proud of my brothers. Their work is excellent, especially [Storm's] Better Mus' Come, which is the most popular. It's incredibly ambitious and impressive. And it's an important piece of work," Stephanie says. "Nile is also a very talented filmmaker. He has great flair for comedy and the poetry of filmmaking." In the UK, Stephanie freelances in public policy consultation but, as she tells me, she truly resides in a world of books. "It's reading and writing; those are my passions. I've always been a workaholic," she says. "I do a lot of gardening and hiking, and I'm really interested in culture, going to the theatre, museums and galleries. I love cultural expressions, past and present."